Today, I had the pleasure of doing something which I believe hasn’t ever been done! 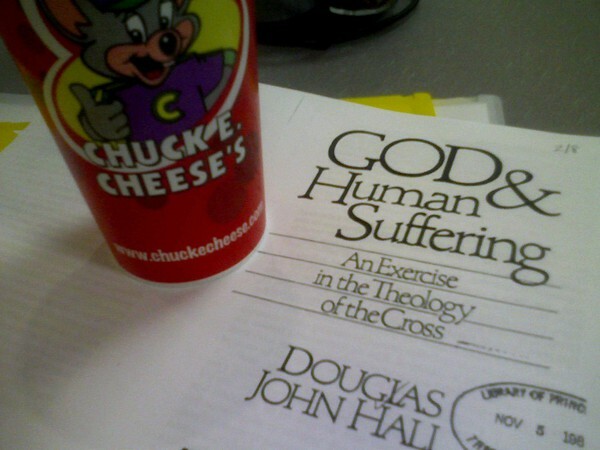 I bet that no one has every pursued seriously theological ponderings in the world of Chuck E.
It was one of the best reading sessions I’ve had. Complete concentration and complete fun with the kids afterwards. I found out that no one bothers or tries to interrupt you when you’re busy with a highlighter and serious reading in front of you at Chuck E. Cheese. The kids are fully occupied within a couple of feet of me all the while in a contained environment. And just to put it into context, we’re talking a brand new, two-story, fully renovated with “new carpet smell,” stocked with all the latest video games for $0.125/game facility (and of course, complete with singing animatronics and purell stations throughout!). A win-win situation, I proclaim! Go ahead, let the predictable *jokes* comments get posted. Just saying ahead of time that “suffering” can be relative and based on perspective! 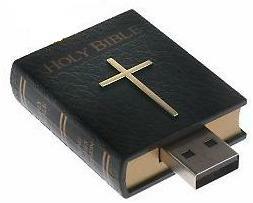 Any seminary scholar or pastor serious about engaging with the Scriptures understands that Bible Study Software is one tool worthy of investment. It will not only bring new resources to your fingertips, it will dramatically cut away hours and hours of tedious research and analysis. The question is which one to choose? If you’re on a Mac, most people know about the Accordance software package. It has a reputation for intuitive interface, powerful search and great integration of other resources. And recenlty, Oak Tree Software recently shipped me a comp review copy of their Accordance 8 Bible Study Software for Mac. The only thing is that I have a PC! No worries though — Because their software works completely on the PC — all you need is their Accordance 8 with a twist. . .
Today’s guest post is from Kathy Leonard of Church Initiative. The ministry’s original purpose was to equip churches with resources to help people recover from the pain of separation and divorce, also to help couples remain together or reconcile whenever possible. Kathy shares a unique tactic one church has used to help get people in the door to its ministry programs. A blip in the church bulletin. . .
An abbreviated pulpit announcement. . .
A spot on the church calendar. . .
How well is your church getting the word out about its programs? And are people in your community even aware of the help available for them? Although reality TV isn’t reality, it deals with real issues that people are facing. It’s one reason people tune in. That’s why it can be a great starting point for promotional efforts. For example, Jon and Kate’s reality TV breakup hits close to home for people facing their own broken marriages. And Lazybrook’s new DivorceCare support group program aims to reach the separated and divorced in their community. Pop culture is a vehicle your church can use to go straight to the heart of people’s problems. And you can be creative in expanding your ideas beyond marquees and reality shows! What do you think about hooking into reality TV and other tabloid headlines in order to get people’s attention for the church? 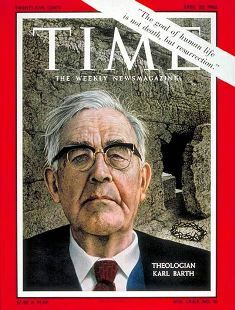 One of the advantages for most going to Princeton Theological Seminary is the size of the institution’s endowment because that translates into 90% of the students receiving some type of financial aid. I have heard something like 80+% receive a full ride. So on top of the academic competitiveness, there’s the free money thing that ups the competition to get in the door. But of course that means there’s 10-20% of the seminarians that definitely need to find some green to fund their education. Logos Software is doing their part to chip in and is giving away one $1000 seminary scholarship each quarter. The Logos Bible Software Seminary Scholarship is open to all students currently enrolled in an accredited theological seminary located in North America, or those who plan on enrolling within the next 8 months. One incentive to apply (other than hard cold cash?!) is that I was offered a 30% discount on their software just for applying. The only requirements is to watch a 15 min video promoting their Logo Bible software and filling out a one page form. Seems like a no brainer for anyone that is hitting the books…or I guess, THE Book actually.